With cyber attacks proliferating, organizations need real-time, dynamic solutions that defeat penetration on contact to protect vital infrastructure and data from theft, compromise and destruction. Defense, Intelligence Community and federal civilian agencies look to ManTech for aggressive cyber solutions that stop criminal hackers, thwart nation-state attacks, and expose insider threats. The best defense is a strong offense. Advanced cyber threats that target our customers are sophisticated, highly skilled, and persistent. To effectively defend against these evolving threats, ManTech’s professionals proactively enhance deployed capabilities, introduce efficiencies, and continuously improve enterprise cyber defenses. Compliance with myriad federal cybersecurity directives, guidelines, and regulations can be a difficult and confusing process. ManTech acts as a trusted advisor to our customers to ensure that security architectures and all deployed managerial, operational, and technical security controls are in compliance with the appropriate agency-level data security policies and relevant regulatory requirements. ManTech’s ACRE™ Cyber Range is a unique physical and virtualized facility that brings ManTech’s best-in-class cyber expertise to our customers. 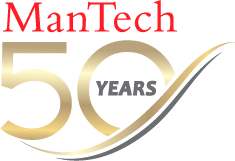 Building on an Infrastructure-as-a-Service model coupled with more than a dozen tools, ManTech can do what other cyber range providers can’t – instantly provide a precise emulation of any network environment, regardless of size, at any level of fidelity. ACRE enables customers to efficiently create replicas of existing systems and network structures, and then to simulate those environments with realistic traffic, automated users and even malware. Heather Mahalik on "The Five Most Dangerous New Attack Techniques"
Offense-informed defense is how we tackle the toughest cyber threats. Enables government organizations to virtually eliminate protests and increase evaluation efficiency. Sentris is a Microsoft® Windows® based platform for implementing security classification services within network environments. Document Detective is an interactive, desktop application for reviewing and sanitizing electronic documents.